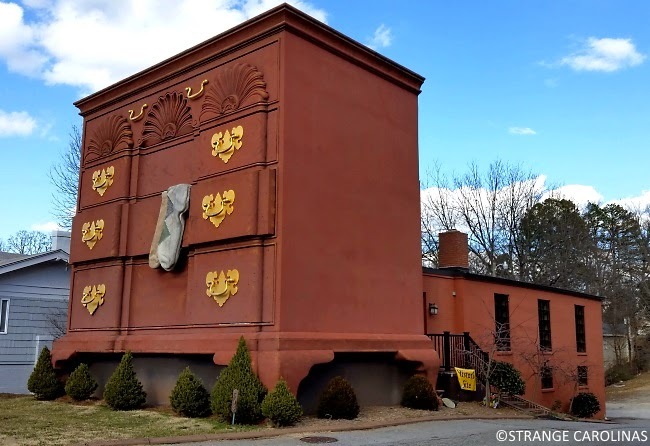 First of all, I can neither confirm nor deny whether this structure is truly the "World's Largest Chest Of Drawers." 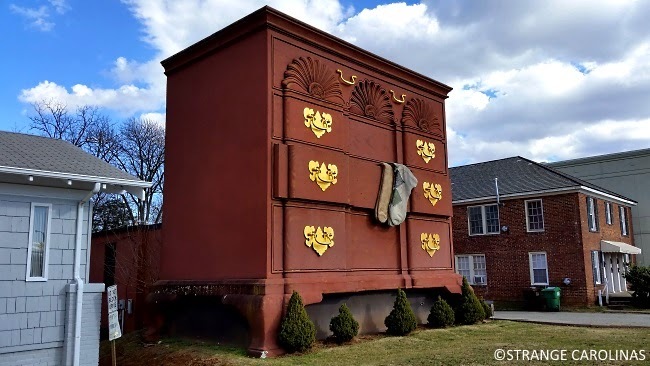 But I know everyone refers to this High Point landmark as the "World's Largest Chest Of Drawers," and sometimes it's easier just not to argue. 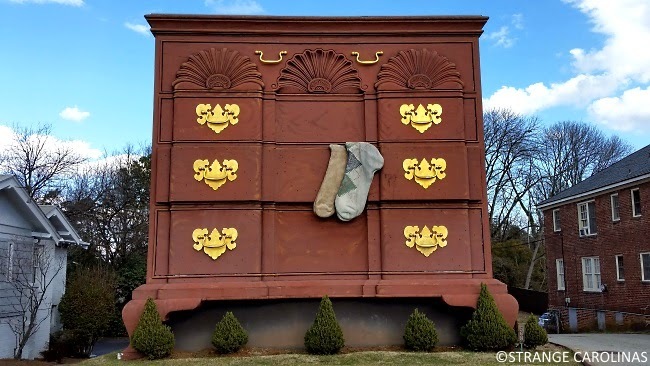 Fun fact: I had a friend who used to work in the top drawer right next to the giant condoms. 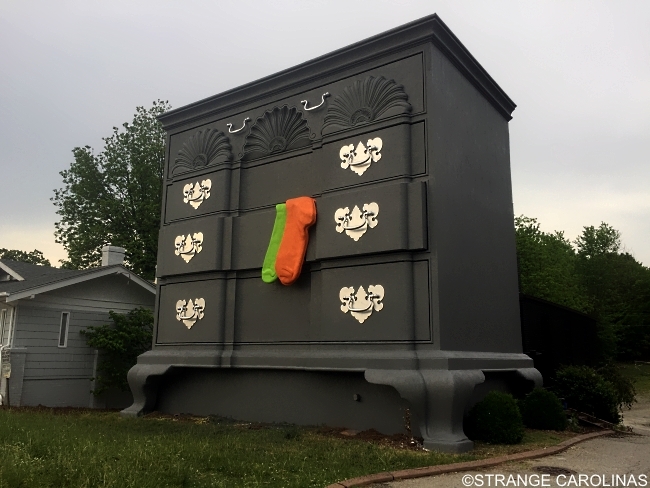 So we ended up in High Point this evening and we decided to check out the World's Largest Chest Of Drawers again. 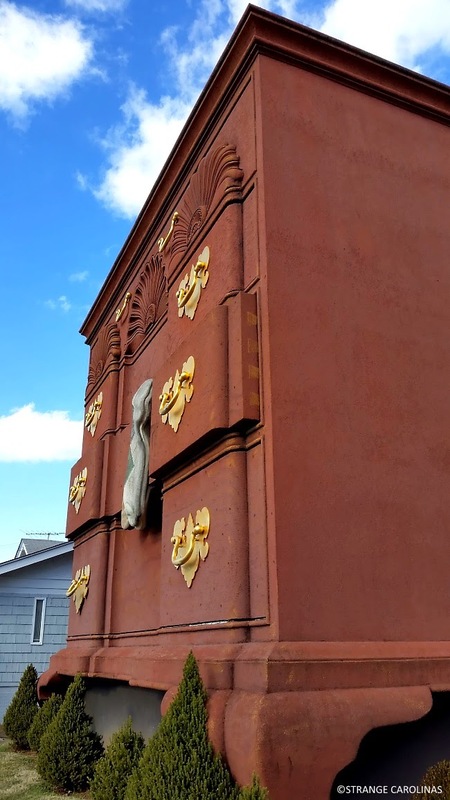 To our horror, it's been repainted a hideous gray and has now lost its wood appearance. 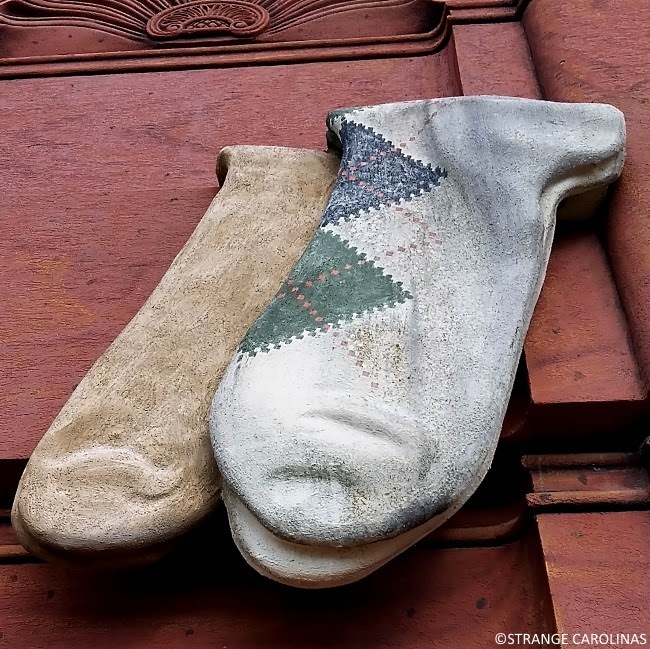 I'm really hoping this is some sort of in-between primer stage or something. 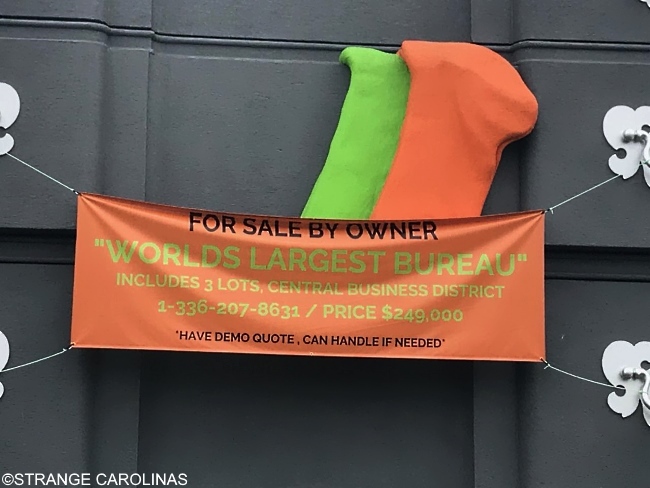 The building is for sale once again.